Facebook is shutting down Moments due to a total lack of interest. In fact, it appears most people didn’t even know it existed. With so few people were using the Moments app, Facebook has chosen to kill it rather than spend any more time or resources developing it. In 2015, Facebook launched a new app called Moments Moments: Facebook's Beautiful New Way To Share Photos With Friends Moments: Facebook's Beautiful New Way To Share Photos With Friends Give, get and collect photos with Facebook's new app — Moments. Facebook's new separate app makes it easier to share and view those captured moments among friends and family. Read More . It was developed as “a private way to give photos to friends and get the photos you didn’t take”. Essentially, it provided an easy way for friends to share photos with each other outside of Facebook. Moments employed Facebook’s facial recognition technology to help you sort your photos. If it identified anyone it would suggest sharing those photos with that person. Unfortunately, too few people installed Moments to make it worth Facebook’s efforts. Facebook is pulling the plug on Moments on February 25, 2019. After that the app will no longer be available. According to CNET, this is simply because not many people are using it, although Facebook declined to share any actual numbers. If you’re one of the few people that have used Moments you’ll need to export your photos and videos from the app. Fortunately, you have until May 2019 to do so, and Facebook has endeavored to make the process as easy as possible. All you’ll need to do is visit this website and follow the instructions. You’ll be able to sort through your photos and export any that you want to keep. And you can do this either by creating private albums on Facebook or downloading them to a device. Facebook has a habit of killing apps it has either developed or acquired. Which is unfortunate for the handful of people using them, but of little interest to the rest of us. 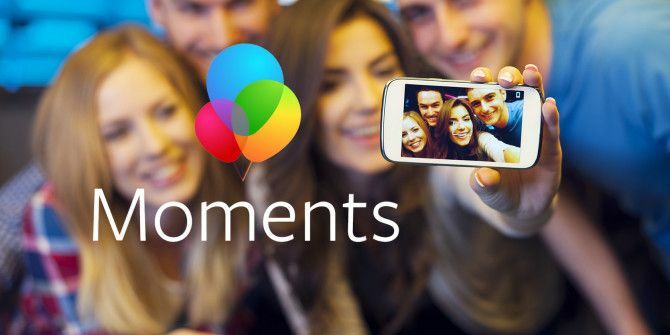 And so Moments is joining Hello, Moves, and tbh Facebook Kills Hello, Moves, and tbh Apps Facebook Kills Hello, Moves, and tbh Apps Facebook obviously has a massive userbase of 2 billion users, but its attempts to build out other apps haven't always worked. As is the case with Hello, Moves, and tbh. Read More in Facebook’s graveyard of failed apps. Can you do this with an Xbox One Elite?